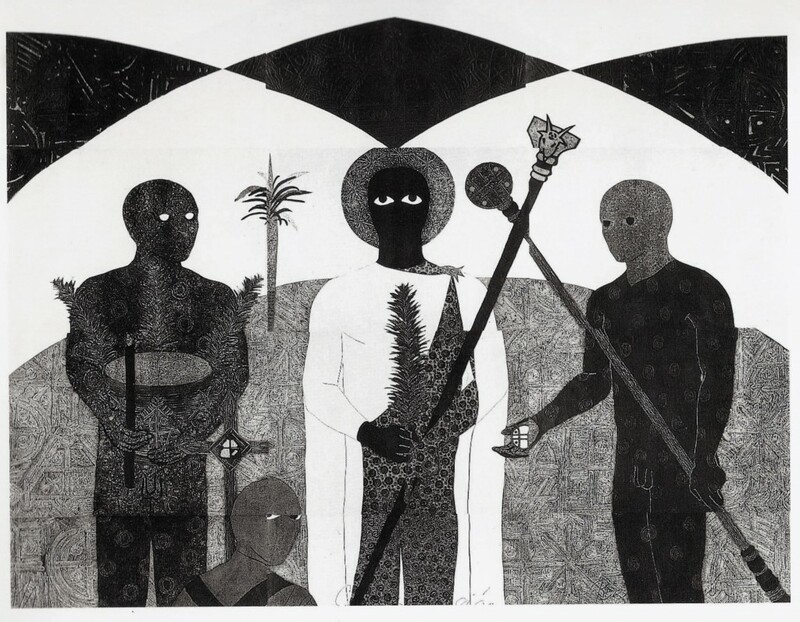 Belkis Ayón (1967–1999) was a self-proclaimed atheist whose large body of work and short-lived but prolific career were dedicated to the creation and development of a figurative iconography surrounding the exclusively male Afro-Cuban secret society known as the Abakuá. Ayón juxtaposed her own life with that of Sikán, a central female figure in the Abakuá mythology. 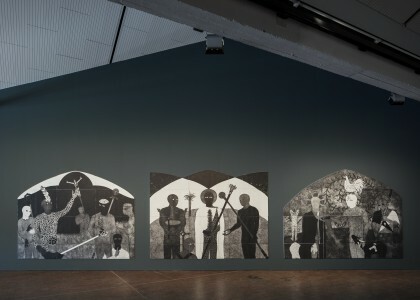 La Consagración i, ii, iii (The Consecration i, ii, iii, 1991), which is presented as part of the 10th Berlin Biennale, depicts a grand ceremonial ritual, perhaps an initiation ceremony. Central to this composition is the motif of Tanze, the sacred fish found by Sikán, which communicated the secrets of the sect. 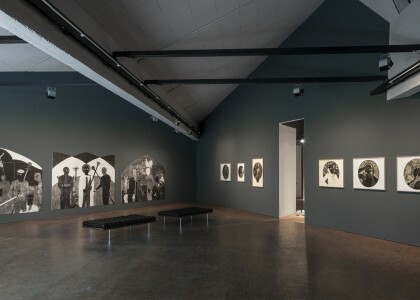 In 1997 Ayón started working on a new composition of mid-sized circular prints also on view at the 10th Berlin Biennale. On this body of work Ayón remarked, “The image of Sikán is evident in all these works because she, like i, lived and lives through me in restlessness, insistently looking for a way out.” Ayón would end her life on September 11, 1999 at the age of thirty-two.